View cart “Through the Mist, Parts Rental” has been added to your cart. 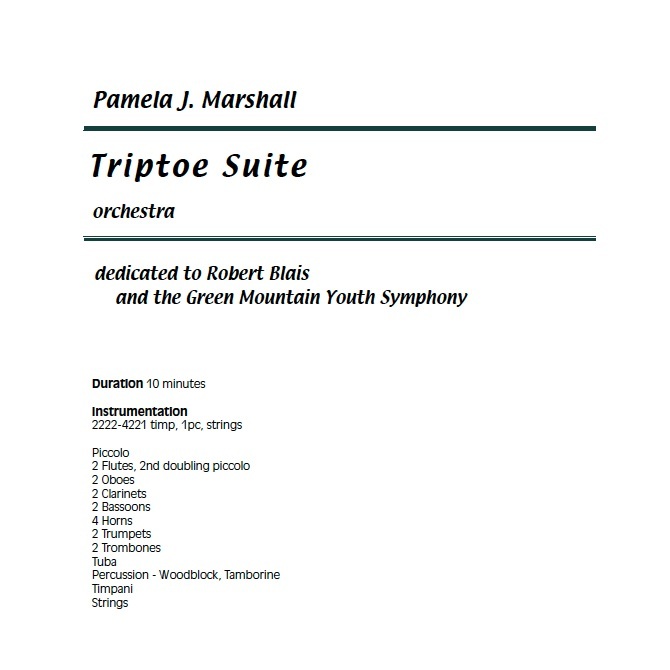 Triptoe Suite started originally as two pieces for violin and piano. 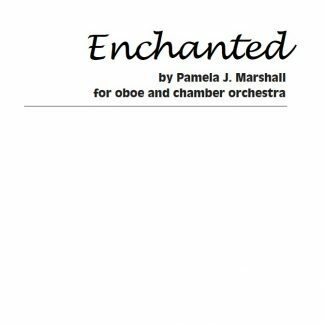 I wrote them for intermediate-level violinist, and a student performed then on a concert of music for children presented by Just In Time Composers. Both pieces had a folk-dance quality; I knew they needed some companion movements to make a real suite. 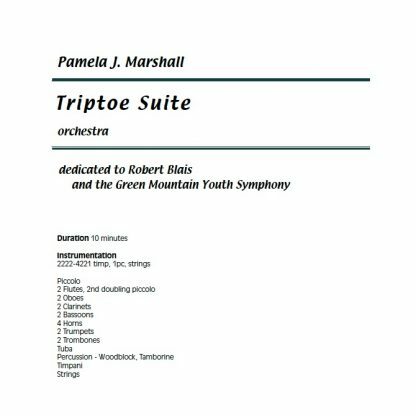 When Bob Blais asked me if I had anything that would be appropriate for the Green Mountain Youth Symphony, I thought of Triptoe Suite, and I expanded the piece to make good use of the full symphony orchestra. 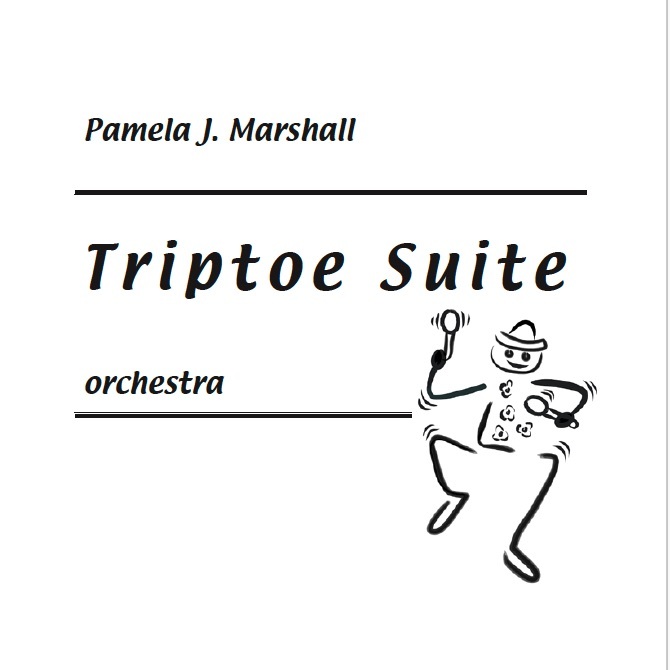 Both the violin solo and the orchestra suite now have four movements. The original violin pieces in Triptoe Suite are Peasant Dance and Hopping, which are movements 2 and 4 of the orchestra version. 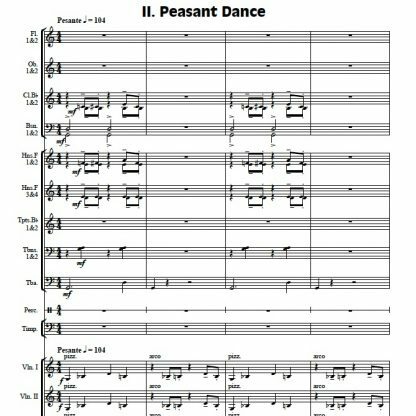 In adapting these movements for orchestra, I revised and added countermelodies and made the pieces longer to give the sections the right balance. After all, the orchestra is a much bigger playground than a short solo piece. The first and third movements are newly written for this occasion. Read about the project for the Green Mountain Youth Symphony. Here’s a quick description of each movement. 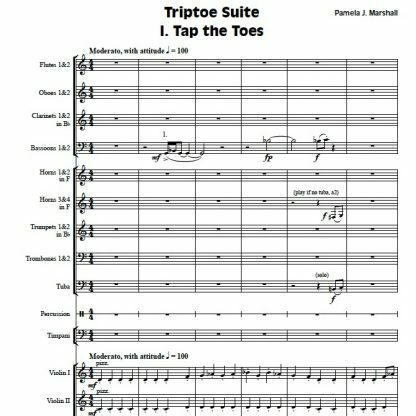 Trip the Toes is a short introduction to the suite. The trumpet plays a fanfare-like melody that recalls the chants of children’s games. The horns play a countermelody with the trumpet. A second melody is faster and has a driving jazzy quality. If the players don’t pay attention, the fast, chromatic notes can trip the fingers. Woodwinds and strings alternate playing this faster melody until they all pile on and play it together at the end. 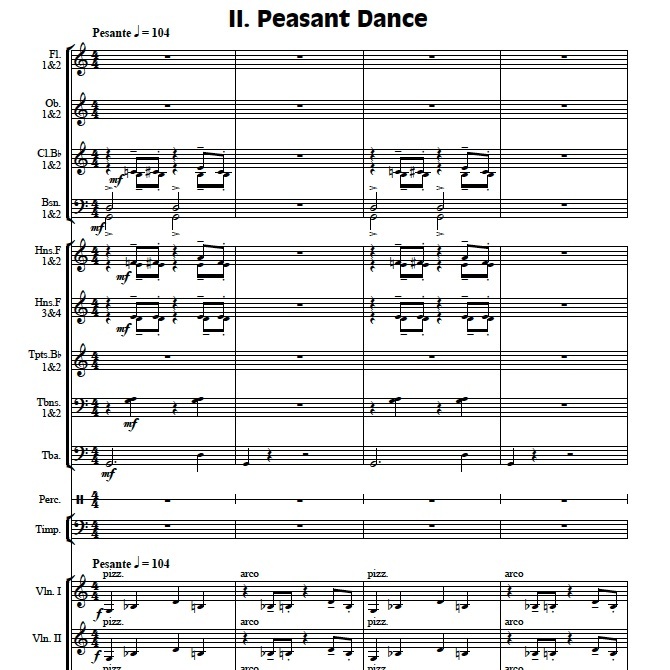 Peasant Dance has a singing melody with a touch of syncopation in the second half of the piece. 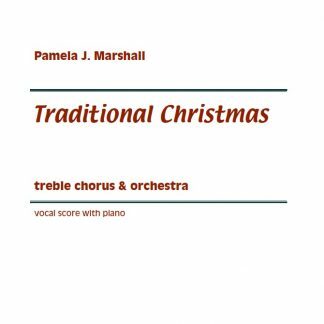 It sounds cheery even though it mixes G minor and G major chords in the accompaniment. The minor interval is always leaning toward the major. 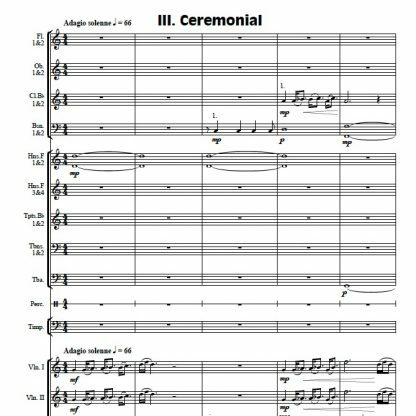 Ceremonial is a stately piece, like a solemn procession. It begins in a very regular 4/4 meter, but in the middle, the time signature changes frequently as the main melody is shortened or lengthened. 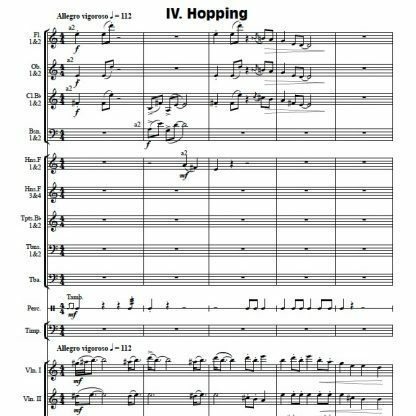 After the fact, I noticed that the main rhythm of the melody (short-long) becomes the main accompaniment figure in the next movement Hopping. 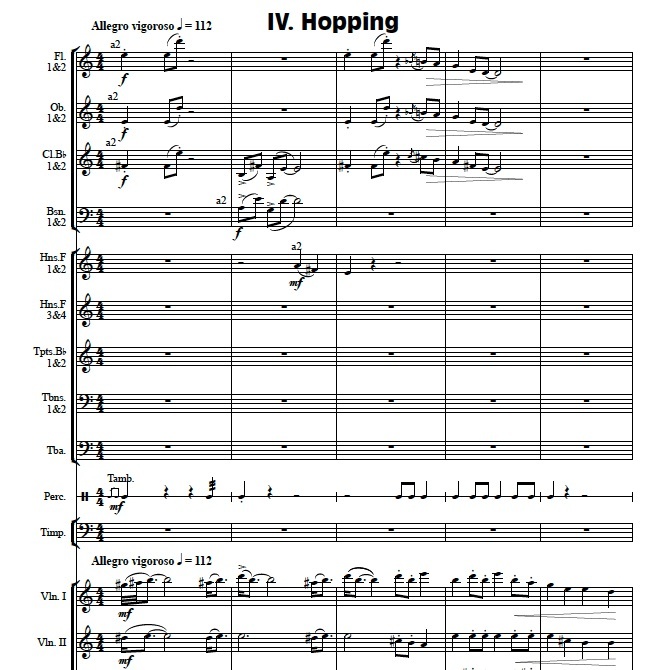 Hopping is a lively piece with a snappy (short-long) rhythm in the accompaniment. The melody begins with an upward jump. That jump comes back in different sizes throughout the piece. Toward the end, at the loudest moment, a funky rock bass line puts the focus on the low strings and brass. 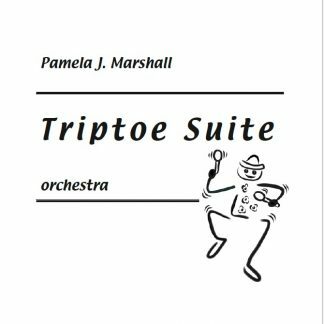 Triptoe Suite is tonal with lots of chromaticism that adds richness and complexity to the harmonies. I like orchestrating with plenty of color changes. 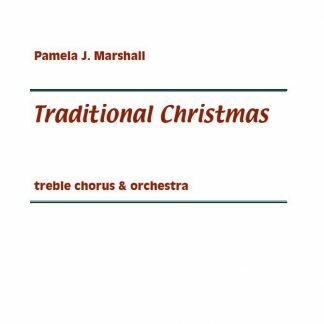 So, you’ll find lots of woodwind and brass moments, both solo and ensemble, and lots of variety in the string sounds, including pizzicato and glissandi. Don’t be shy about tapping your toes! 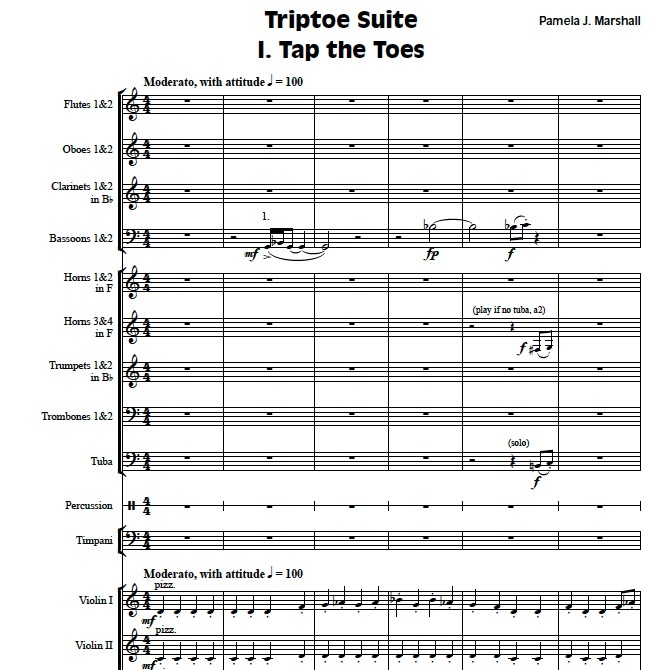 Add the free PDF score to your cart, then rent the parts for your upcoming concert! Contact us with your scheduling and string part requirements. Rental period is typically 2 months, but longer rental periods are fine – just let us know.